A new silhouette is in our midst for #FENTYxPUMA. 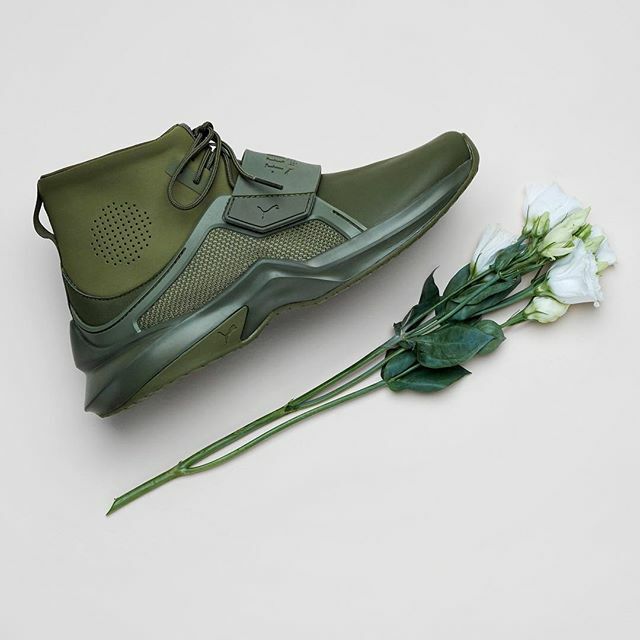 Bringing lifestyle and athletic vibes to the table, the PUMA Fenty Trainer Hi features leather, mesh and a midfoot strap. We’re also seeing a new accent with this sneaker and that’s the elastic strings on the medial side of the shoe, which allows flexibility with every wear. Coming in Black, Sesame, Cypress and Whisper White, it makes this next Fenty release easy to love and capable of matching more than just your workout style. Keep things up to speed in your #FENTYxPUMA rotation and check out the PUMA Fenty Trainer Hi Thursday, 6/29 at finishline.com.